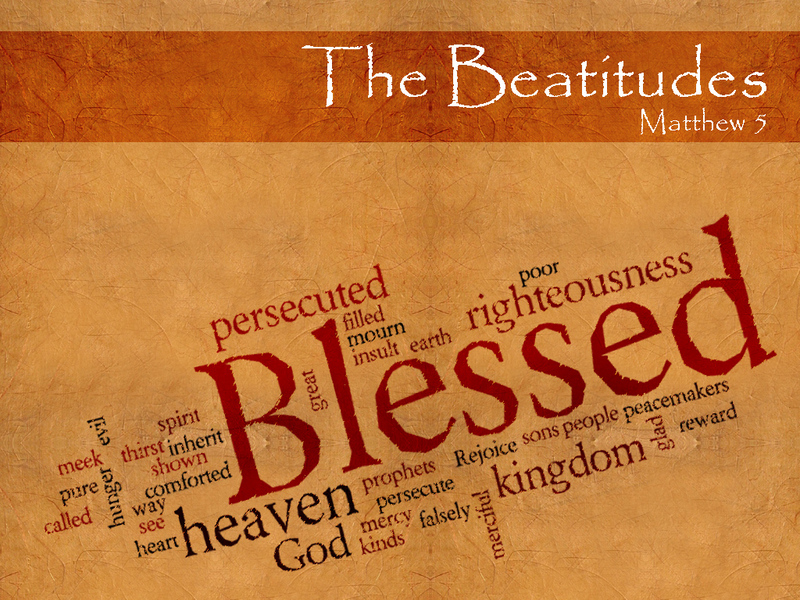 Have you ever read through Matthew 5 and saw the completely opposite way in which Jesus describes what it means to be a Kingdom citizen as opposed to a citizen of this world!?! It is truly striking when you dwell on these words. What our culture tells us to pursue, Jesus flips it totally on its head! It is no wonder unbelievers consider us fools. Look at the subjects of each sentence. The worldly man has no desire to be characterized by such words, it would be an insult and an embarrassment. Josh Harris, the senior pastor at Covenant Life Church in Gaithersburg, MD, is preaching on this very topic and let his creative energy flow. He wondered what it would look like if these were rewritten from the worlds perspective. Here is his artistic interpretation. Blessed are the self-confident because they rule the world. Blessed are positive-thinkers because they don’t need anybody’s comfort. Blessed are the cocky and assertive because they get what they want. Blessed are those who hunger for fame because they get reality TV shows. Blessed are the vengeful because they get respect. Blessed are the impure, pleasure-seekers because they see a good time. Blessed are those who beat their opponents because the victors write the history books. Blessed are the popular because everybody loves them. As you read these, note how they correspond with the way we really see people living in our schools, jobs, homes, and society. Note also how they are the inverse of the biblical text as quoted above. It is scary to see how our culture values the exact opposite of what God says is truly valuable. The world, and our own sin natures, push us to live in these anti-biblical ways. It is hard to go against the flow. But when we allow God’s words to fill us up we find His strength to live out His plan.